After Hueco, I headed to Saint George, Utah. One of my favorite spots to hang out, camp, and go climbing. While there I learned a lot about process and product. 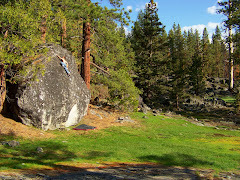 Most of the time that I get excited about a rock climb, I have to work it for a while. I was in Utah about 2 months. The first 5 weeks I was just getting spanked. I picked a pool of problems to send that all felt equally impossible at first. This list included the Sentinel Project in the front of the area that had still apparently not seen a first ascent. I had been trying this problem the past 3 seasons prior. In those first weeks, I kept in my same theme from Hueco. I just kept trying as many problems as I could often alternating days between each. Slowly I started to hone in on this one roof that Isaac showed me last season called Meatbag. After shuffling through all the problems I kept coming back to this one more and more. I liked it. It was friendly on the skin, in the shade all day, no one was ever trying it, and it seemed like it fit me fairly well. There was this move to the lip that stood out as a real mofo. All the other moves felt manageable except this one. I began to think that this throw was impossible. Everything seemed like it was facing the wrong way, the feet, the hands. This move had lots of resistance. One try, out of nowhere I stuck the move and finished the problem. From then on I was sucked in. I began going up there every other day. Every try was from the bottom. My favorite routine on repeat. Wake up, warm up, hike to Meatbag, try, fail, rest and repeat. I would do this from 11 am til dark every other day for about 2 weeks. After doing this schedule for a bit, I decided to take 3 rest days. Afterwards, I went back alone. I felt light, full of energy and hungry. Something clicked differently that day and stayed with me the remainder of the trip. It was the feeling of control and acceptance in my climbing. I felt excited to try, excited to see what happens next, and knew what I could do. It had been a while since I felt that. Anyone who's hit a heavy momentum in life knows what I'm talking about. I was there again. I hadn't been there in years and it was nice to be back. Not happy because I was climbing hard grades. Happy because I could accept where I was. Being satisfied with a mindset is better than being psyched on results. Mindset is solid through success and failure. A constant. It is more fun to try hard when you feel in shape. Nothing is as cool as feeling this light. Maybe not even sending. What happened after that feeling hit me was awesome. The last few weeks, I relaxed, stayed disciplined and my projects fell like dominoes. Each and every one came with an amazing feeling. I had put in the time, the work, endured frustration, and had embarrassing wobblers. The effort you pour into these things is harsh but fully worth it. My road trip is over. Now back home and ready to begin my temporary life again, I've never felt so glad to be a boulderer. I feel so light. I hope I stay this way forever. Also, do you have any idea if Cloverland still goes? I read that a hold broke and it is impossible but am very curious. Thanks! Inspiring stuff. I'm on a Boat is on the left side of the wall. It sit starts the corner and climbs into Spraylords v6. Attrition is Cloverland after the break. The tufa broke and the line didn't go anymore until now. Now Attrition is the new Cloverland basically. Instead of straight up now it trends rightward from the same start. I'm on a Boat broke as well a little bit but likely still goes.